Last week I found myself declaring Summer over. All it took was a couple of slightly cooler days and a spot of rain to make me purchase Winter boots, put the fleece back in my parka and tweet Starbucks to ask when the Pumpkin Spice Lattes are back. So it came as a very pleasant surprise when I checked the forecast for the weekend and saw sunshine and warm temperatures returning to the North East. I immediately remembered that it was still August (just) so I cancelled our planned cinema trip and instead threw together a seaside adventure. 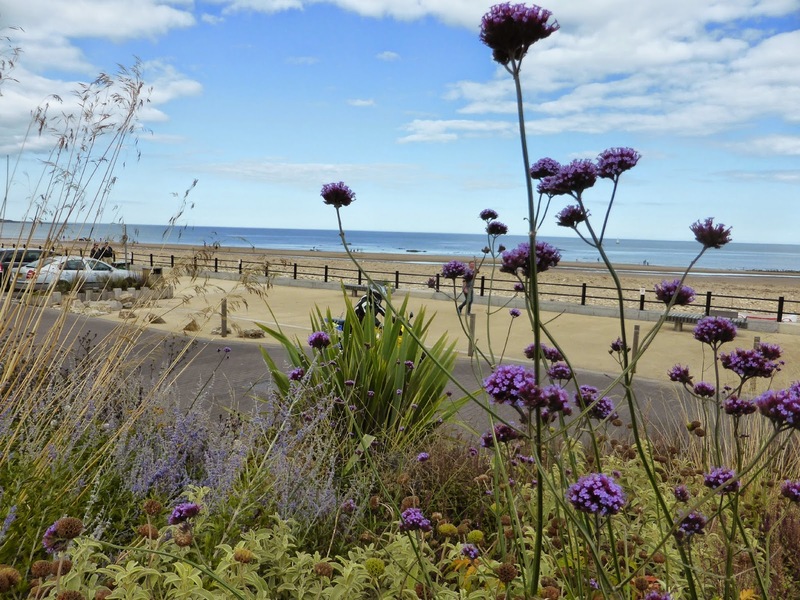 We decided to hop on the Metro and journey to Seaburn, the seaside resort a short walk from Sunderland. It's somewhere we were yet to explore so I had no idea what to expect. The seafront is a short walk from the Metro Station and the first thing you notice is the gorgeous white lighthouse that overlooks the sea. Its position on a stretch of lush green grass makes it an ideal spot to people watch as the place is full of people playing with their dogs and riding bikes. At this point we were in a bit of a "shall we go left or right" situation. 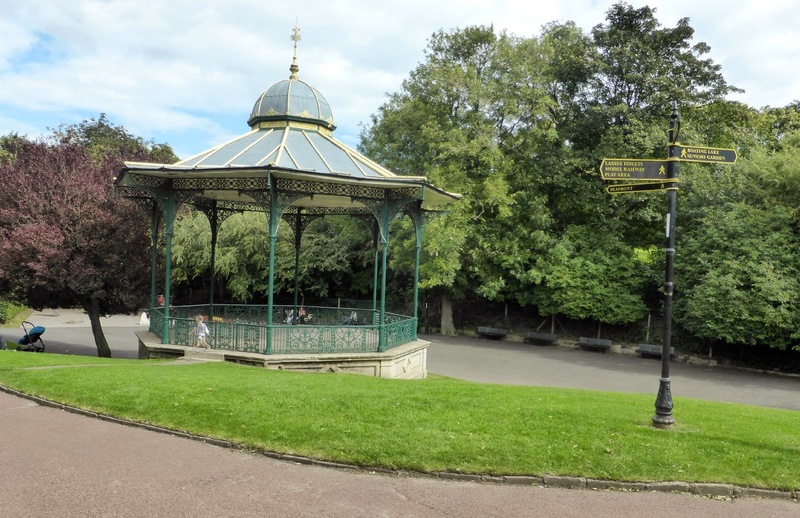 We opted for right which took us on a short stroll to Roker Park. The park is a little deceptive. At first glance we thought it was going to be disappointingly small but once we'd ventured in we realised it was actually quite a large area full of colourful flowers, lots of places to sit, a huge kid's play area and a boating lake. 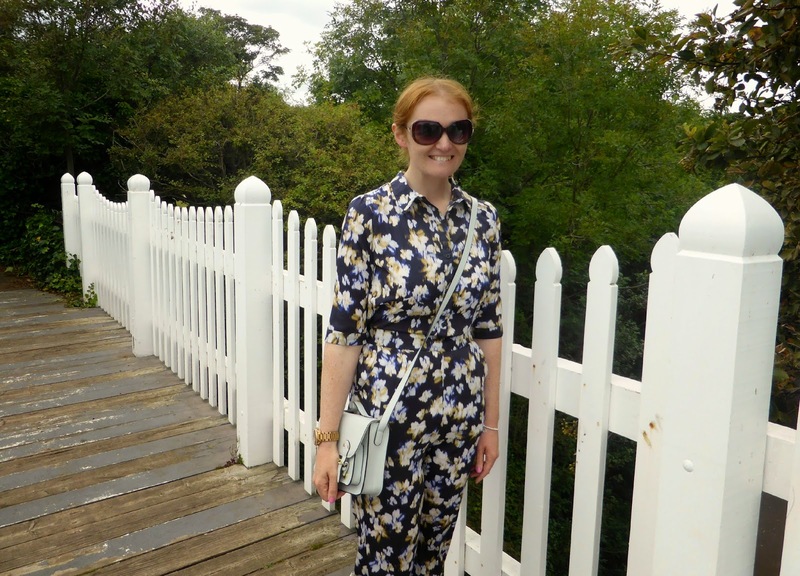 I bought this jumpsuit in Primark a few weeks back but with Autumn fast approaching I wasn't sure I'd get an immediate opportunity to wear it. Luckily with the nice warm temperatures it was the perfect choice for our afternoon at the coast. It's lightweight yet still kept me protected from the sea breeze. This is my first ever jumpsuit and I think it might be love. Next on the agenda was a loop of the nearby Marina which was stunning. We had a lovely time standing in the sun leaning over the railings and picking out our favourite boats. This lead to us deciding that we should probably start playing the Lottery just to afford a boat and one of the gorgeous apartments overlooking the water. Roker Beach was our next destination and I was so happy to find that it was a really love stretch of clear sand with a perfect little promenade. It's currently being renovated and there are a number of lovely looking new restaurants that have just opened. I may well have added a few to my ever growing list. After all that walking it was definitely time for a sit down and I knew exactly where I wanted to be. Let There Be Crumbs is a tea room adjoining the Roker Hotel that opened a few months ago and as we were walking right past, it would have been rude not to have gone in. Now we all know that I like my cake and spend far too much of my weekends eating it so for me to say that the cake menu at Let There Be Crumbs completely blew me away you know it must be special. The list of cakes, desserts and puddings on offer is truly epic and I was so excited to find that Black Forest Gateaux was included. It is probably my all time favourite dessert and is very difficult to find outside the 1970s. I was even happier when my cake appeared and I was presented with a massive slab of chocolate and cherry perfection. I honestly couldn't have asked for any more, it was so delicious. 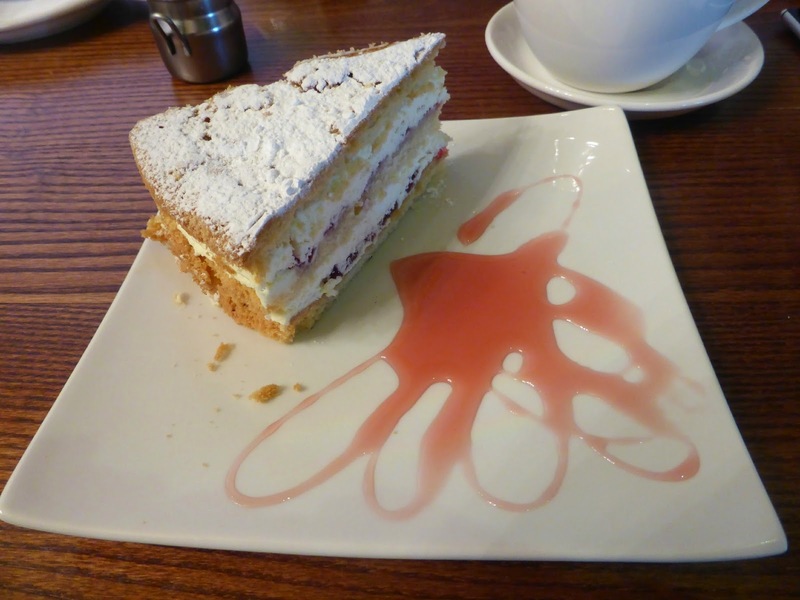 Simon decided on a slice of Victoria Sponge and his piece was equally huge and yummy. The tea room was full of ladies in pretty frocks enjoying baby showers, birthday parties and hen dos. We were very lucky to get a table so if you were wanting to make a trip (which believe me you must do) make sure you book a table. Keep an eye on the blog because I've just arranged the next Bloggers Cake Club at Let There Be Crumbs so I'll be doing a more in depth review soon! After eating enough cake to fill our bellies for a week we decided to head to the seafront and walk back to Seaburn. 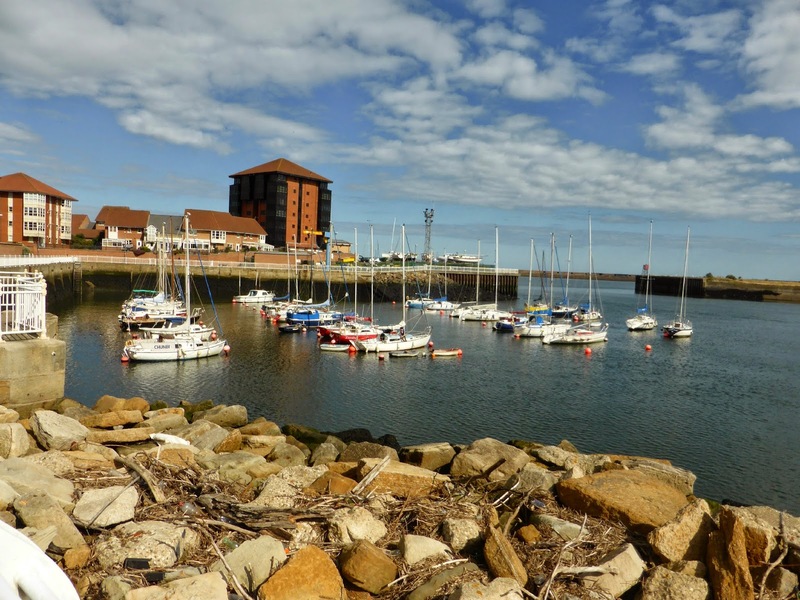 Like Roker, Seaburn has had a lot of redevelopment done to it and although there are still some parts that haven't been finished you can already see the hard work that has gone into making the area lovely. The paths are beautifully landscaped with plants and benches. The whole area looks so clean and inviting. I am so happy we've managed to find somewhere new to visit and I will definitely be returning next time Mr Sunshine reappears. Half of me REALLY wants Autumn to arrive and the other half of me thinks I'm a bit silly for wishing the Summer away when I love it so much! Gorgeous pictures and outfit! Good to see you guys exploring more of the North East 😊 glad you like it! Thanks :) I can't believe it took me this long to get myself there - we get so distracted by going to Tynemouth all the time! Your use of the word 'lush' made me smile! My friends from Sunderland describe everything as Lush, you're well and truly in the toon now! YESSSSSSSSSSSSS! So glad my North Eastern accent is coming along! I sound so southern it's a joke! I REALLY want a Geordie accent! 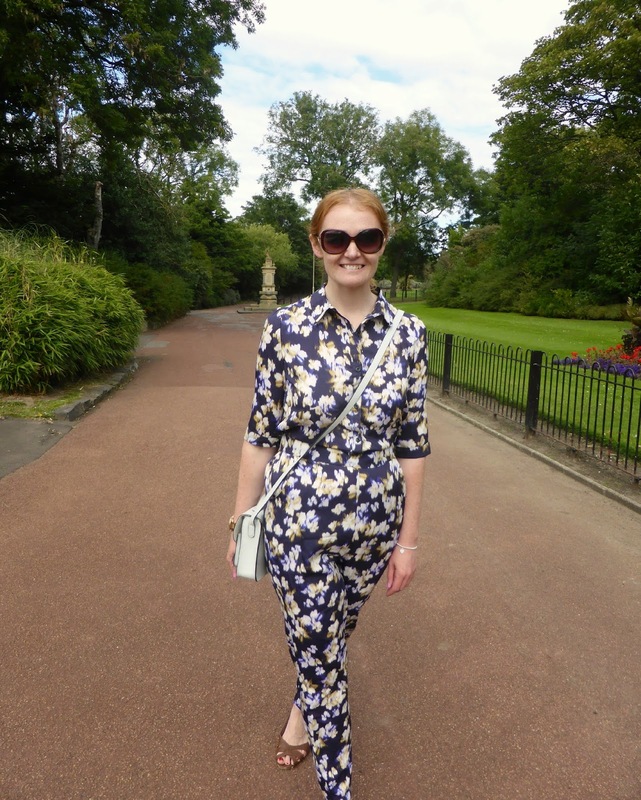 You do look gorgeous in your jumpsuit! 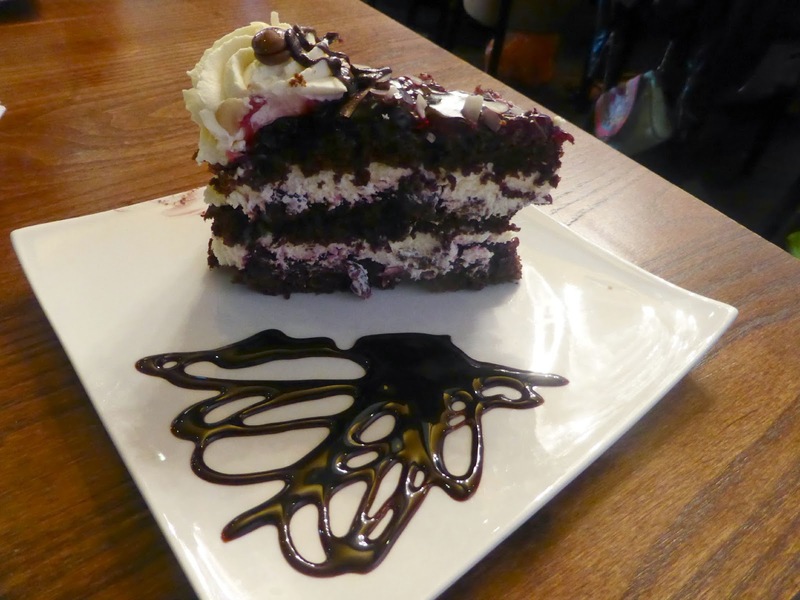 Black forest is also my fave cake, its bloody lovely so I don't know why people think it is so retro. YAY! It doesn't often appear on menus, which in some ways is good cos it means when it does appear it's REALLY appreciated. Honestly this piece was so so good, it had almonds on the top too, and I love almonds! I think (from memory) the jumpsuit was £13.00 - there were loads in the Northumberland St store .. hope you manage to find it. 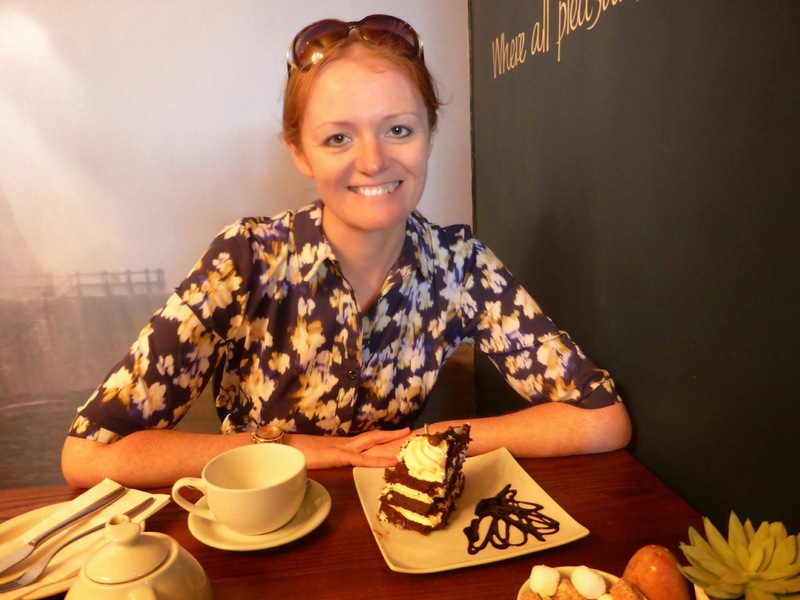 Love reading your posts and finding out places that I could (will) go for afternoon tea!! 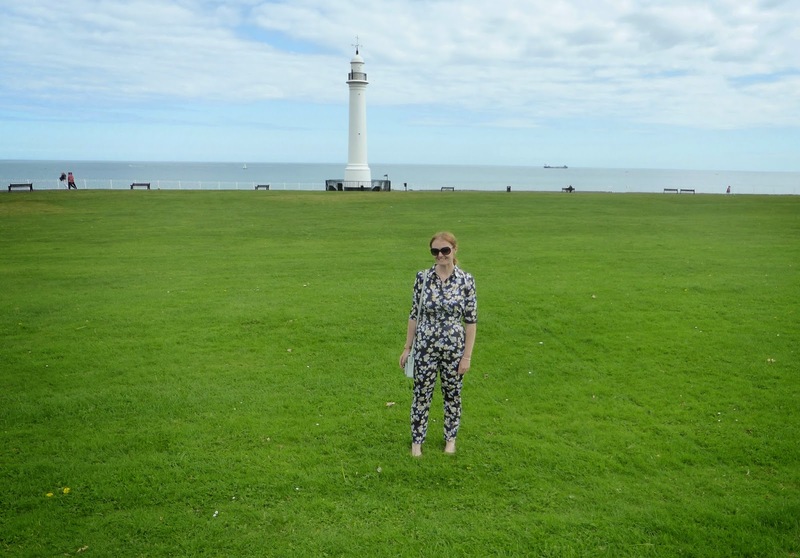 Seaburn is lovely, loving the jumpsuit! The cake looks amazing. Enjoy the sun while it lasts.